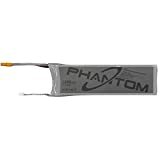 Amazon has the dji phantom aerial uav drone quadcopter Replacement battery for $16 with free shipping. Sells for $26+ Highest Price. Deals for $6 Lowest Price. Normally $21+.